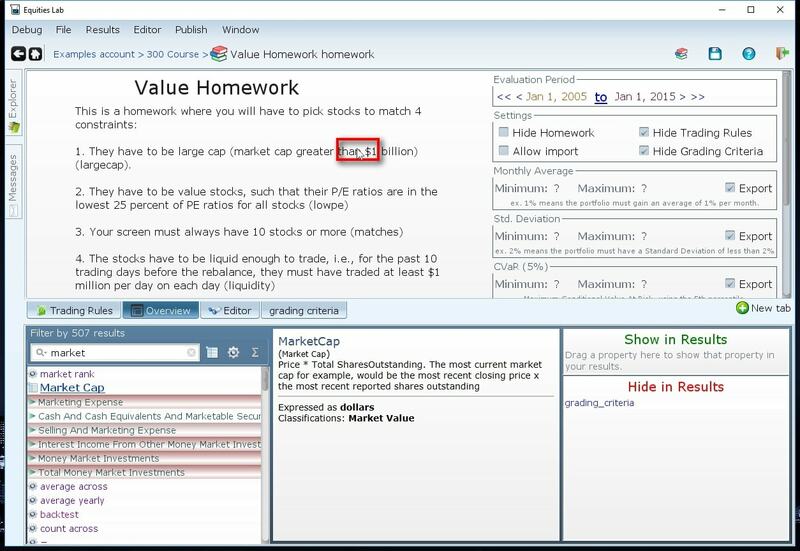 Not all homeworks created within Equities Lab are placed into our imports section. 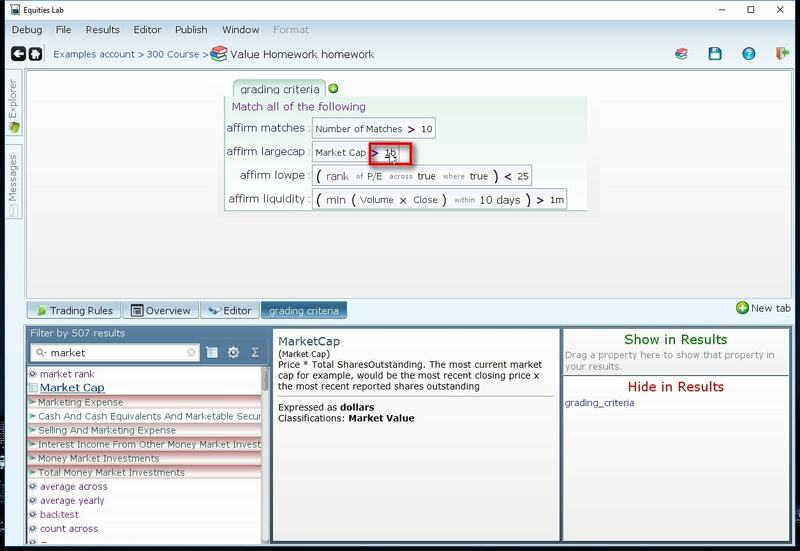 A few of our professors have graciously allowed us to use a few of their homework creations within the section – giving you a number of different assignments to import from a number of different universities. If there is anything you would add or eliminate from the homework’s description, now is the time to do that. You may also adjust things such as the evaluation period, return requirements, risk requirements, etc. 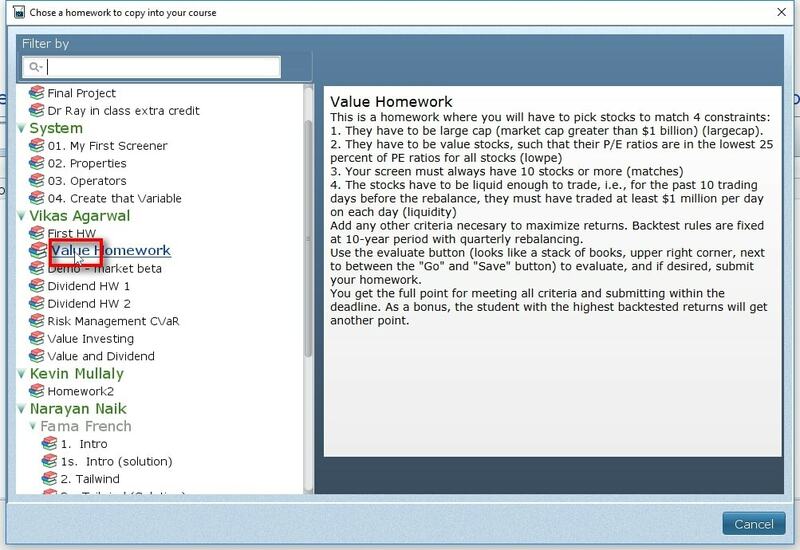 Though you are thinking of importing a homework into your class, there may still be grading criteria you would like to add, change or eliminate from assignment. If you would like to change the criteria simply click on the argument in line and you can type in a new value. In this case we are changing the market cap requirement from 1b to 3b.. If you would like to add new criteria simply press the semicolon key on your keyboard or click the “+” button in the photo. You can then add criteria using the same steps outlined in our create your first class and homework assignment article. 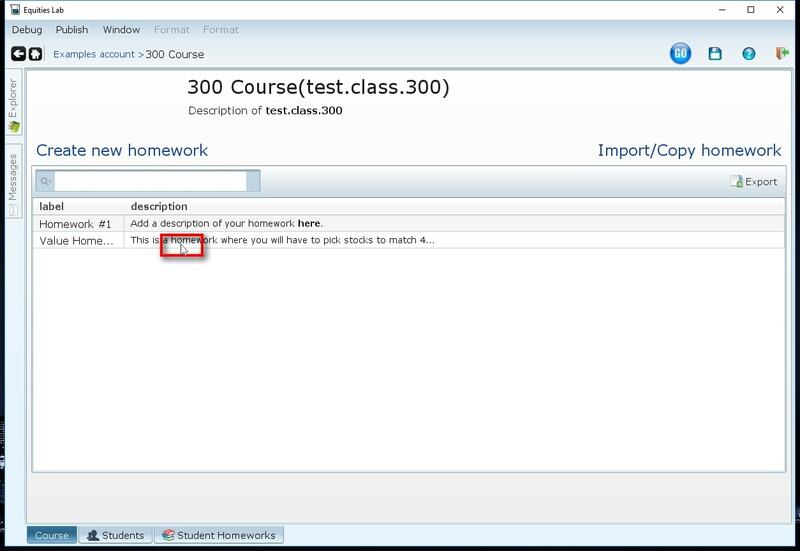 If you are happy with the assignment click on the floppy disk in the top right hand corner of the software to save the homework to your class. Once you navigate back to the course homepage you can evaluate the homework in the same way that you evaluated your own – by taking it as a stuart student. 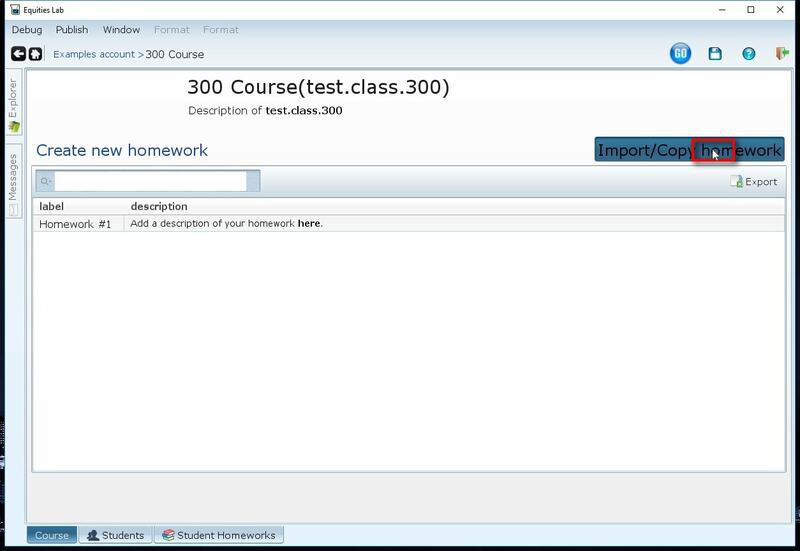 This will allow you to test the changes you made to the assignment and ensure that it is still completable for your students. A student of finance at Georgia State University, Tyler has had a passion for the world of finance for as long as he can remember. Joining the Equities Lab team in 2015 he attempts to juggle the perfect mix of school, work, and giving back to the community. When he isn't working at Equities Lab he can often be found helping teach programs at the Rosen Family Foundation - a non-profit that teaches financial literacy to middle and high school students.